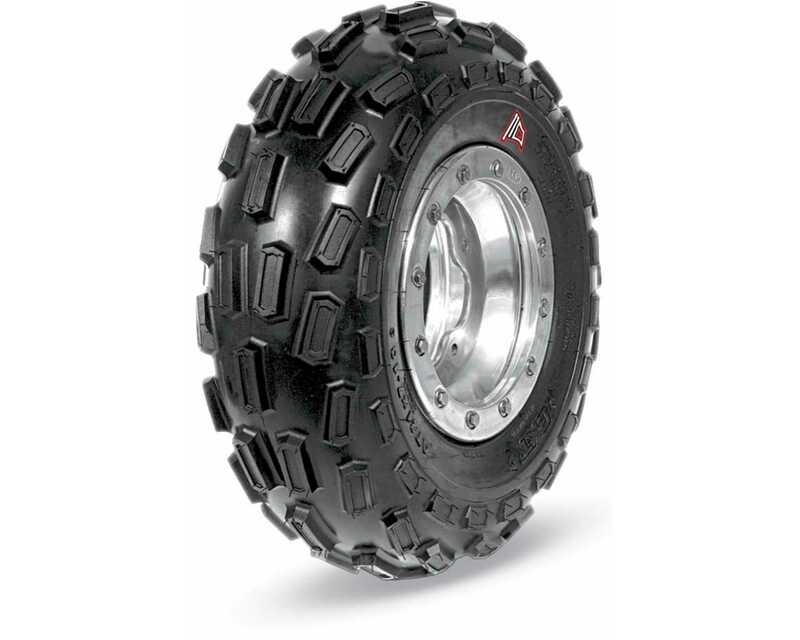 The AT-110 is an ATV tyre from BKT. The AT-110 tyre is available in a few select sizes including 21/7.00X10 with a 4 ply rating. The load/speed index for this AT-110 21/7.00X10 tyre is 25J which means it can carry a maximum load of 93kg while travelling at a speed of 100km/h. This tyre has an "E" marking making it legal for use on public roads. 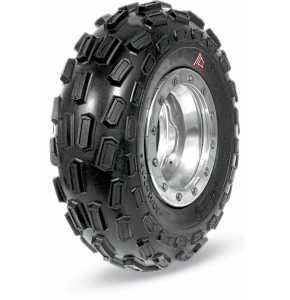 The AT-110 tyre from BKT comes standard in a tough 4-ply rating nylon casing for added protection in rough terrain. The reinforced extended knobs of the AT-110 ATV tyre increase control in mixed or hard-packed terrains and the elongated knobs have been angled to promote more precise control and tracking. Natural rubber compound increases puncture resistance and extends tread life. Key sizes of the AT-110 tyre range are "E" marked and thus legal for use on public roads.